If you’re preparing for an upcoming trip or vacation, one of the most important things to consider is Travel Insurance. From unexpected flight cancelations to lost luggage, a care-free vacation can quickly become a stressful nightmare. A Travel Insurance policy from my agency can help save you from any of the unexpected events that can ruin your plans. Get peace of mind for your upcoming adventure by contacting us today. I’ll help answer your questions and get you the insurance coverage that you need. That way, the only thing you’ll need to worry about is making sure to pack the toothpaste and extra sunscreen. We offer a comprehensive solution with our “Mexico Auto Tourist Policy.” It’s designed to provide you the Auto insurance protection you need, to ensure that you and your vehicle are covered when traveling in Mexico. A complete range of coverage options from a basic coverage to a complete package called “Zmart”. This provides: medical evacuation, higher limits for property damage as well as liability and towing services to the nearest U.S. city, as long as the accident happens anywhere with 200 kilometers of the U.S. border. It only takes a few minutes to get a quote . 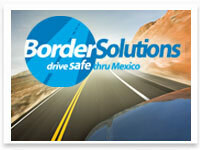 You can also contact us at any time to learn more or to purchase your Mexico Auto Insurance Policy. Give us a call today! If you’re traveling to Mexico, you must have proper insurance coverage not only to meet Mexico’s legal requirements but also to buy peace of mind. You can rest easy knowing that you’re taken care of by someone you trust. Get a quote today. It only takes a few minutes. Get a Quote – Purchase Now! You are now leaving my Web site for information provided by a third-party. Neither my agency is responsible or legally liable for the information provided on those pages. By leaving this site, you acknowledge that you understand the information provided and do not hold Henderson Insurance or any of its partners liable for misinformation or irrelevant content. Renters Insurance Miracle Worker Doug is a great agent... he truly is THE insurance agent in Austin... not just another insurance agent.